Today was kind of a relaxing day. We woke up, went to our rooftop swimming pool (YES! ), did some exercising at the gym and walked around trough KL. 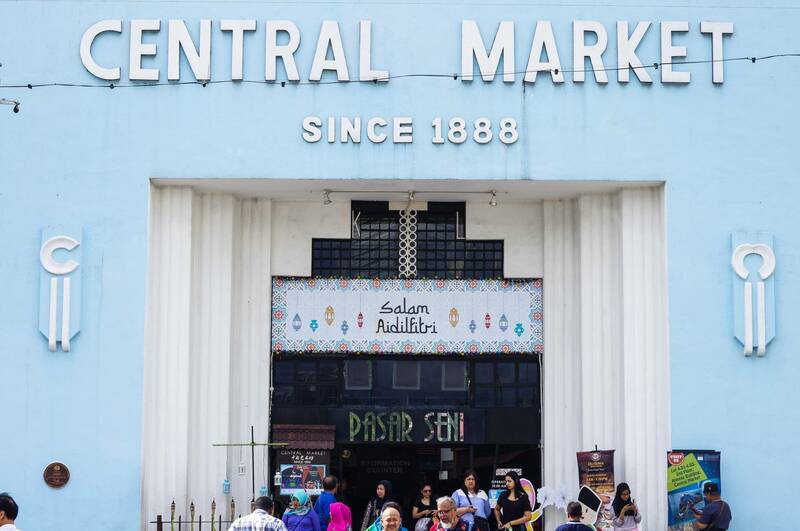 We went to Central Market, which is a inside city market with typical local stuff. The lovely thing about it were those pretty floors! ahhh this kind of floors makes me so happy:). 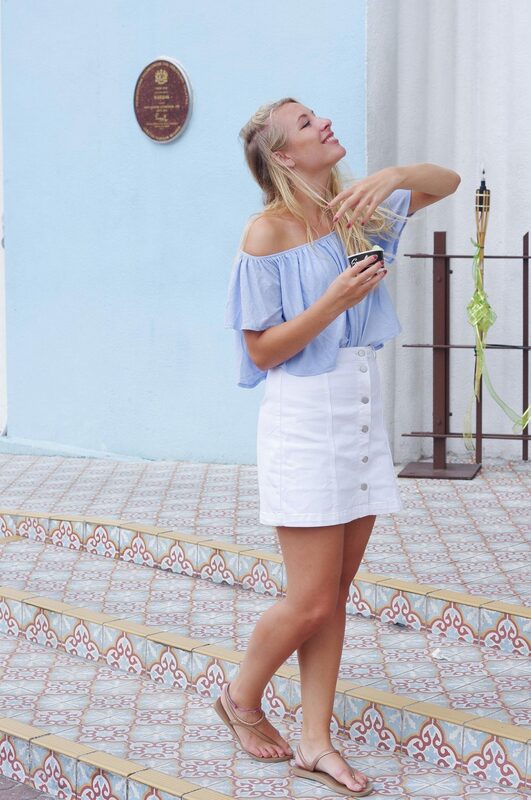 Wearing a off shoulder top with a white denim skirt (yup, still holding on to the off shoulder trend!). Very happy I finally found the perfect white denim skirt!